West Bengal is an Indian State Known for its Political Activism. West Bengal is an Indian state located in the eastern region of the country. It’s the country’s 4th most populated state with more than 91,000,000 people living in its borders. Its area covers a total of 34,267 square miles and it’s bordered by the countries of Nepal, Bhutan, and Bangladesh, and the Indian states of Orissa, Jharkhand, Bihar, Sikkim, and Assam. The state’s capital is the famous Kolkata or Calcutta. Most of the people that live here are Bengali Indians and the primary languages spoken here are English and Bengali. As far as religion goes, more than 70% of the population follows Hinduism and more than 25% are Muslim, while Christianity and Sikhism make up most of the remaining religious followers. In the 3rd century BC, most of the Bengal (southeast) region of India was conquered by a powerful emperor named Ashoka. In the 4th century AD, the region was taken over by the massive Gupta Empire and then, from the 13th century onward, it was ruled by multiple sultans, powerful Hindu princely states and powerful landlords. This continued until the British began to rule over India in the 18th century. The British East India Company, as they were first called, took control of this region during the Battle of Plassey in 1757, and the city of Calcutta (Kolkata) became the capital of British India. A positive aspect of British rule in the region was the introduction of western education, more development in science and math, the introduction of colleges and social reforms in the region. This time period is known as the Bengal Renaissance. However, this state saw major tension and a a clear political divide during the Indian independence movement, where India gained its independence from Britain in the early 20th century. 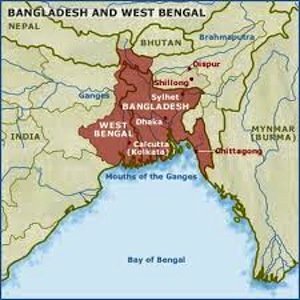 Bengal divided in 1947 along religious lines; primarily between Muslims and Hindus, into two separate states West Bengal, a state of India and East Bengal, which originally joined the new country of Pakistan before becoming part of modern-day Bangladesh in 1971. West Bengal is well-known for its political activism. The state is a large producer of agricultural products, which helped it attain rank as India’s sixth largest contributor to the nation’s net domestic product; meaning the state has a strong economic impact in India. However, West Bengal’s service industry accounts for approximately 58% of the state’s domestic product, agriculture produces about 25% and about 17% comes from the manufacturing industry. Nonetheless, the major occupation in the state is agriculture. The main crops of the state are rice, potatoes, jute, sugarcane and wheat, but tea is produced here as well. In the northern regions of the state, Darjeeling and other high quality tea are produced. The state's manufacturing industry engineers products such as electronics, electrical equipment, cables, steel, leather, textiles, jewelry, cars, trains, chemicals and fertilizers. West Bengal is on the eastern side of India and stretches from the Himalayas in the north to the Bay of Bengal in the south. The northern extreme section of the state contains Sandafku, the state's highest mountain peak at 11,929 feet. A narrow region called the Terai Region separates this section from the state's plains area. The state's plains become part of the Ganges Delta in the south. The Rarh Region comes between the Ganges delta in the east and western plateau and highlands in the west. The state has a small coastal region in its southern region and the Ganges is the main river that divides West Bengal. The Teesta, Torsa, Jaldhaka and Mahananda Rivers are in the northern hilly region. The western plateau has rivers and the Ganges delta and the Sundarbans area have numerous rivers and creeks. West Bengal's climate varies from Tropical Savanna in the southern portions to humid subtropical in the north. The seasons here are broken into summer, monsoon, autumn and winter. Summers in the delta area are humid, but they are arid in the western highlands and can reach 113 degrees Fahrenheit and rainfall here can exceed 100 inches in the rainy monsoon season. The average temperature in winter is 59 Fahrenheit. More than 3% of West Bengal is geographically protected land, including 15 wildlife sanctuaries and the 5 national parks. 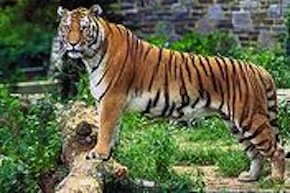 The wildlife protected in the sanctuaries include rhinoceros, Indian elephants, deer, bison, leopards, gaur, bengal tigers, crocodiles and many bird species. power is held in the Council of Ministers, headed by the Chief Minister. The state Governor is the head of state who is appointed by the President of India. The leader of the party or coalition with a majority in the Legislative Assembly is appointed as the Chief Minister by the Governor and the Council of Ministers are appointed by the Governor on the advice of the Chief Minister and the Council of Ministers reports to the Legislative Assembly. West Bengal has a long tradition in folk literature, music and dance. The Baul tradition is a unique heritage of Bengali folk music, which was also influenced by diverse regional traditions of local tribes. Other folk music forms include Gombhira and Bhawaiya, which are performed using a one stringed instrument called a theektara. West Bengal's music includes a North Indian Classical style music called Rabindrasangeet and there has been growth in the popularity of modern mainstream music, such as the music played in Bollywood films. Mainstream Bollywood films are popular in Bengal, and the state is home to "Tollywood". Calcutta is the location of many Bengali movie studios, and the name "Tollywood" is a takeoff from Hollywood. The Bengali film industry is well known for art films, and has produced many acclaimed film directors such as Satyajit Ray, Mrinal Sen, Tapan Sinha and Ritwik Ghatak. Bengal has been a fine art hub too. A man named Abanindranath Tagore, sometimes referred to as "father of modern Indian art" began his career at the Bengal School of Art. He created are styles that were outside the prominent European tradition, which was brought into India by the British. Following India's Independence, art groups like Calcutta Group and the Society of Contemporary Artists were formed in Bengal, dominating the art scene. Another interesting aspect about Calcutta is that social reformers, like Raja Ram Mohan Ray, Iswar Chandra Vidyasagar and Swami Vivekananda fought for common rights of the people, against the unjust tradition of caste-based discrimination or untouchability. Rice and fish are staple foods in West Bengal. There is saying here machhe bate bangle, which means "fish and rice make a Bengali". There are many ways in which fish is prepared here. As with any Indian society, sweets are important for ceremonial gatherings such as religious festivals and Indian weddings. Fruits and vegetables grown locally include gourds, roots, leafy greens, stalks, lemons, limes, green and purple eggplants, red onions, plantain, broad beans, okra, banana tree stems, green jackfruit and red pumpkins. Rice soaked overnight in water, served with onion & green chili is a traditional dish consumed in rural areas. Common spices found in a Bengali kitchen are cumin, ajmoda, bay leaf, mustard, ginger, green chillies and turmeric. Bengali women commonly wear a sari or shari, which are beautiful dresses of rich fabric designed according to local cultural customs. In urban areas, many women and men wear Western attire. Men also wear traditional costumes such as the panjabi, which is a pair of baggy pants tapered at the ankles and a very long shirt made from elegant cloth. The most popular festival in West Bengal takes place each year in October and is called Durga Puja, but many other festivals are celebrated here. The state was home to many famous religious teachers, including Sri Chaitanya and Sri Ramakrishna. The swami is credited with introducing Hinduism to western society and became a religious symbol of the nation in the eyes of the intellectuals of the west. Leave West Bengal to discover the other states and union territories of India. Check out these useful travel tips for India. Go to our homepage to discover more of India!